Each card allows the participant to express their thoughts and opinions when reminiscing or engaging in meaningful conversations. 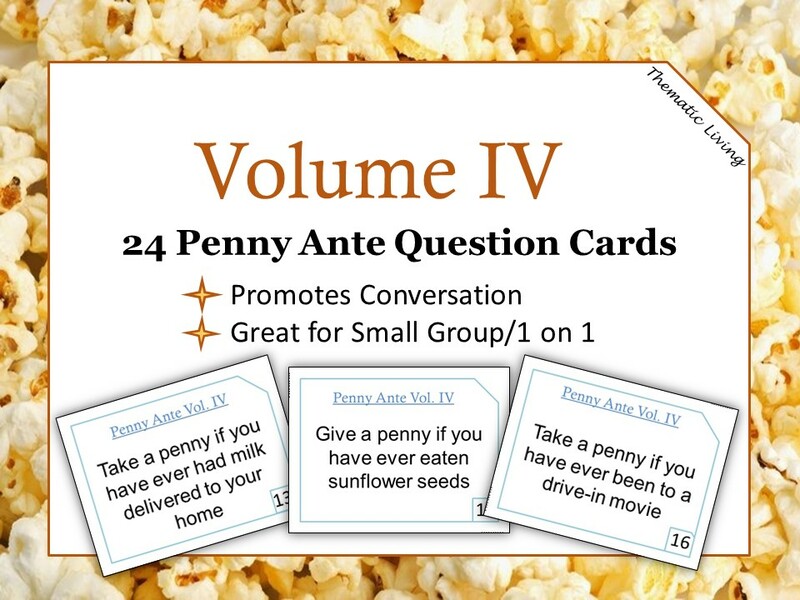 Extend this activity by having brief conversations about the topic presented on each card. For example, if someone has traveled to a different country before, you would then ask: Where did you go? When? Who did you go with? Why did you go? (Leisure, Work) How did you get there? (Boat, Plane, Train); also known as the 5 W’s, Who What, When, Where, Why and How.